Maestro Ubaldo Fabbri served as musical collaborator and coach at the Rossini Opera Festival from 1986 through 2001. A member of the faculties at the Rossini Conservatory and the Accademia Rossiniana in Pesaro, Italy, he has collaborated with some of the major singers of our time, including Luciano Pavarotti with whom he appeared in a television documentary on the tenor's career in Italy and internationally. 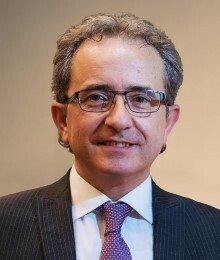 He is the official accompanist/coach for the Maria Callas International Competition. His Master Classes on the Art of Bel Canto have been presented at the Curtis Institute of Music, Julliard School, Manhattan School of Music and Mannes School of Music, Trinity College London and the Royal College of Music and Drama, Glasgow. He has served as the primary coach for the Italian operatic repertoire for Lingua del Canto for 6 seasons. Soon to be published in English is Maestro Fabbri's A Practical Study of Italian Diction and Phonetics for Opera Singers. In 2004 Maestro Fabbri created the Voci nel Montefeltro (Voices of Montefeltro) Opera Academy for Belcanto Diction, Phrasing and Expression at Novefeltria, currently a summer school but with plans to operate throughout the year. The Palazzo Lombardi (formerly the secondary school) has been made available to him on a year round permanent basis by the municipality. Sarah Pring studied with Johanna Peters at the Guildhall School of Music and Drama and at the National Opera Studio. She began her career at Glyndebourne, gaining the Sir John Christie Award, and the Esso Touring Award, for roles including Despina Cosi fan Tutte. Early success came with English National Opera with roles such as Norina, Don Pasquale, Nanetta Falstaff and Princess Ida. In a very busy career, she has sung alongside some the world's finest singers, including at the Royal Opera House, Covent Garden, in La Traviata, Renee Fleming, Angela Gheorghiu and Anna Netrebko, and with greats such as Placido Domingo, Dimitri Horostovsky and Jonas Kaufmann. In October 2018 she sang Alisa in Lucia di Lammamoor at the English National Opera and this February will be Glasha in Katya Kabanova at the Royal Opera House. Having established herself successfully as a Soprano, as her voice matured, she took the decision to alter the direction of her career by changing to the Mezzo repertoire, giving her experience in a huge range of roles. 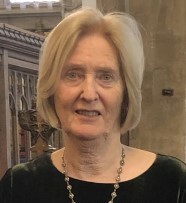 She has enjoyed success with most of the British National opera companies, as well as in Europe and beyond, notably with Welsh National Opera, Scottish Opera, Opera North and Glyndebourne, as well as being a frequent visitor to the Royal Opera House, Covent Garden. Abroad, she has performed in Amsterdam, Caen and as far afield as Singapore and Tokyo. 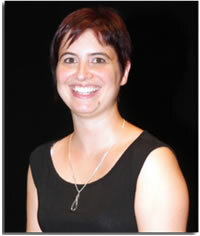 Sarah has been a professor of singing at the Guildhall School for 15 years, where she is a Fellow of Higher Education. After working with Musical Theatre students at Trinity Laban Conservatoire of Music & Dance for 5 years, Sarah joined the staff teaching students on the BMus course in 2018. Her challenge in changing from Soprano to Mezzo-soprano with all the technical, intellectual and emotional hurdles to overcome has, allows her to impart to her students a solid technical foundation, based on the principles of bel canto, firm support, and lyricism. 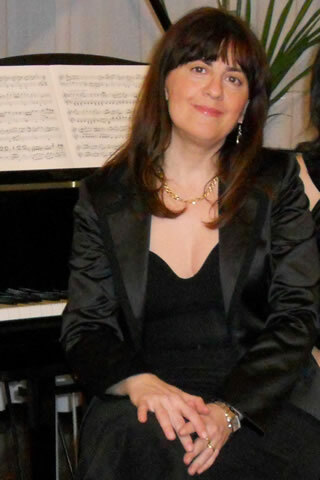 Donatella Dorsi, vocal coach, received degrees in Piano, Harpsichord and Music Education from the Rossini Conservatory in Pesaro, and a degree in Voice from the Music Conservatory of Fermo. For several years she was the accompanist for the Philharmonic Chorus of Pesaro, performing in more than 200 vocal concerts, both in Italy and abroad. Since 1990, she has worked at the Rossini Opera Festival of Pesaro, where she has collaborated with Alberto Zedda, Daniele Gatti, Riccardo Chailly, Gianluigi Gelmetti, Mariella Devia, and Juan Diego Florez, among many others. From 2001 to 2004 she was an accompanist with the Centro Studi Italiani vocal programme in Urbania, and since 2004 has been part of the Voci nel Montefeltro Academy, as accompanist for the summer programmes La Musica Lirica - USA from Decatur, Illinois and the Lingua della Lirica from New York, whose students were study at the Curtis Institute, Philadelphia, the Mannes School and the Manhattan School of Music, New York, and many other well known US conservatoires. Diana Beckett is a semi-professional singer who first came on this course as a student in Urbania in 1999 and has been coming back regularly since then. She thinks working with Ubaldo and his team is such a wonderful and enriching experience that she has been organising the course since 2006. Winner of the accompanist prize at the Royal Overseas League Competition, the Ludmilla Andrew Russian Song Accompanist Prize at the Royal Academy of Music, and the Maureen Lehane Vocal Awards Accompanist&apos;s Prize at the Wigmore Hall, Chad is one of the rising young stars of the accompaniment world. Born in Australia, Chad first studied at the Sydney Conservatorium of Music before moving to London. 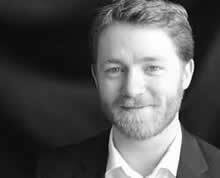 He now maintains a full workload as a staff pianist and vocal coach at both the Royal College and Royal Academy of Music, London, and performs regularly across the UK and internationally. A native Italian, Ilaria Ciccioni is a permanent faculty member of Voci nel Montefeltro. She graduated from the University of Bologna with a master's degree in translation and conference interpreting and in 2008 received the DITALS ll certificate for teachers of Italian as a second language, from the University of Sienna. Since 2002, she has worked as a teacher of Italian for international students in various private schools, where she has combined her interest in language with her love for culture, art and history. Her teaching method involves comparative studies of grammar rules between Italian and other languages, as well as speaking and listening activities. Concurrently Ilaria works as a free-lance translator and interpreter, specialising in law related documents and is a member of the Italian Translators and Interpreters' Association, AITI. She has been working with the summer international programmes at the Voci nel Montefeltro academy, since its inception in 10 years ago. She also offers field trips to many artistic and historical sites, especially in the Montefeltro and Valmarecchia regions.